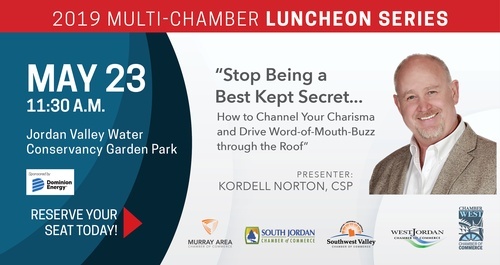 "Stop Being a Best Kept Secret...How to Channel Your Charisma and Drive Word-of-Mouth-Buzz through the Roof" - presented by Kordell Norton, CSP. 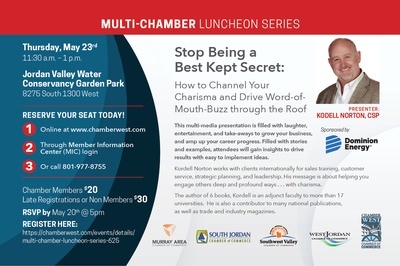 The author of 6 bookds, Kordell is an adjunct faculty to more than 17 universities. He is also a contributor to many national publications, as well as trade and industry magazines. You will have the opportunity to network with over 100+ business professionals around the valley with members from five Chambers of Commerce.